Related service providers, including speech therapists, psychologists, occupational and physical therapists, and other specialists, often face barriers around collaborating with other educators on a school campus, including general education and special education teachers. 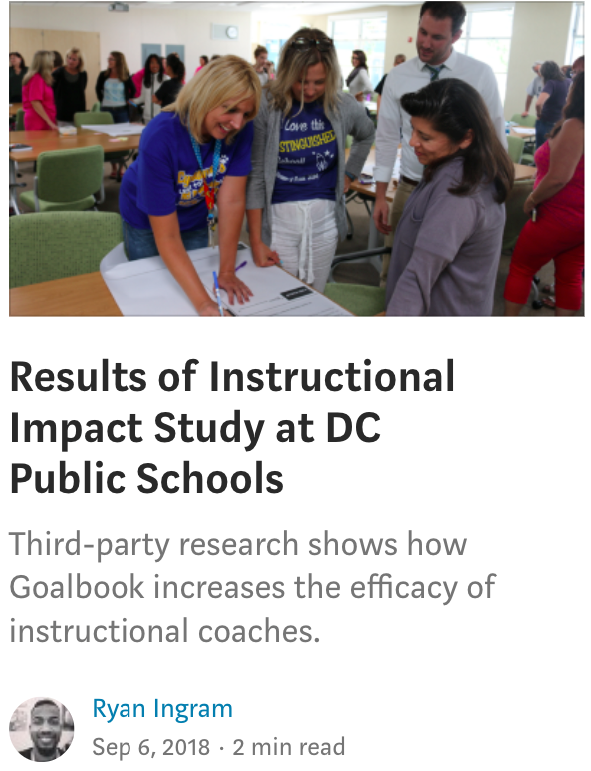 For that reason, our product team partnered with WestEd to design a qualitative research study that looks at how Goalbook’s resources can impact collaboration and instructional practice for related service providers. Our study focused on the collaborative relationship between Deaf and Hard of Hearing (DHH) Specialists and their general education counterparts. Eleven educators in total located across California participated in the study: five DHH specialists and six general education teachers. They worked in pairs and one DHH specialist worked with two general education teachers. The study lasted four weeks and data was gathered using surveys from Goalbook’s usage logs. 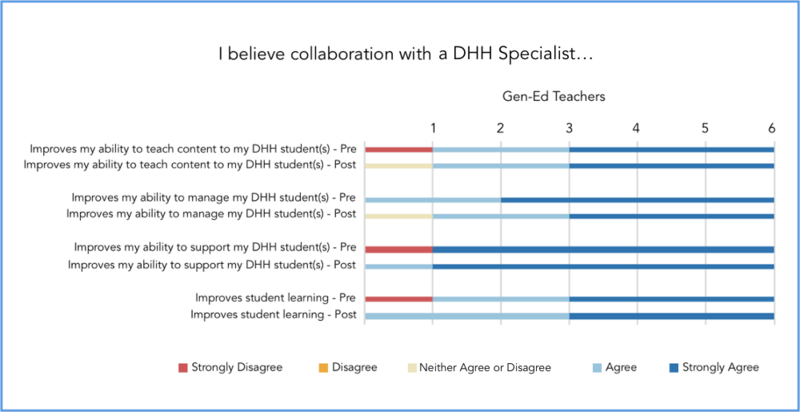 A pre-survey gathered background information on the participants and insights into the existing collaborative relationship between DHH specialists and general education teachers. This survey asked questions to evaluate the effectiveness of their collaboration and working relationship. A later post-survey asked the same questions to measure changes over the course of the study. The participants of this study had access to these resources as well as all of the resources in Goalbook Toolkit, including content for Pre-K to Grade 12 in Reading, Writing, Math, Speech, Behavior and Social Emotional Learning, Autism, Occupational Therapy, Alternate Academic and Life Skills, and Transition. 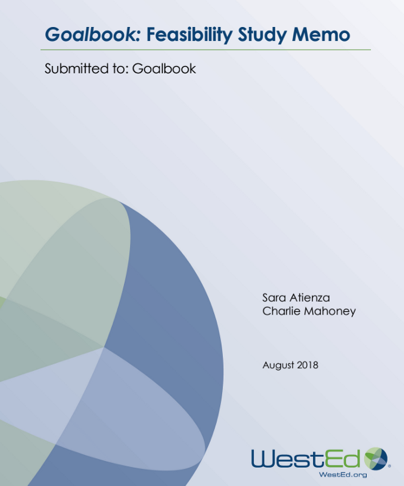 WestEd’s study focused on observing how Goalbook Toolkit could be used at scale by teachers in an authentic educational context and have a positive impact in classrooms. In a short period of time, Goalbook was able to help related service providers and teachers collaborate more effectively, translating into positive outcomes for students. WestEd identified five guiding research questions that were centered around collaboration, instructional impact, and real-world usability. What is the nature and frequency of collaboration using Goalbook Toolkit? What is the quality of this collaboration? In what ways does the use of the Goalbook resources change user attitudes toward working with specialists or general education teachers when working with shared special education students? 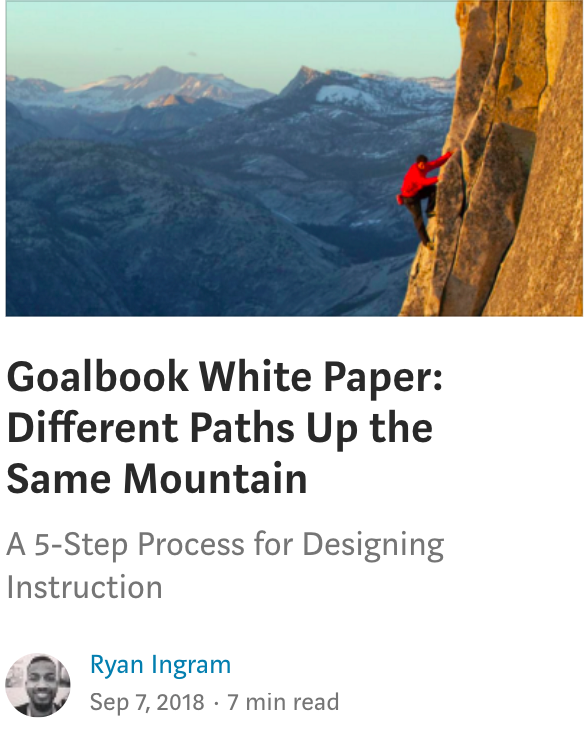 Are there any barriers to implementing Goalbook Toolkit and resources in the classroom? 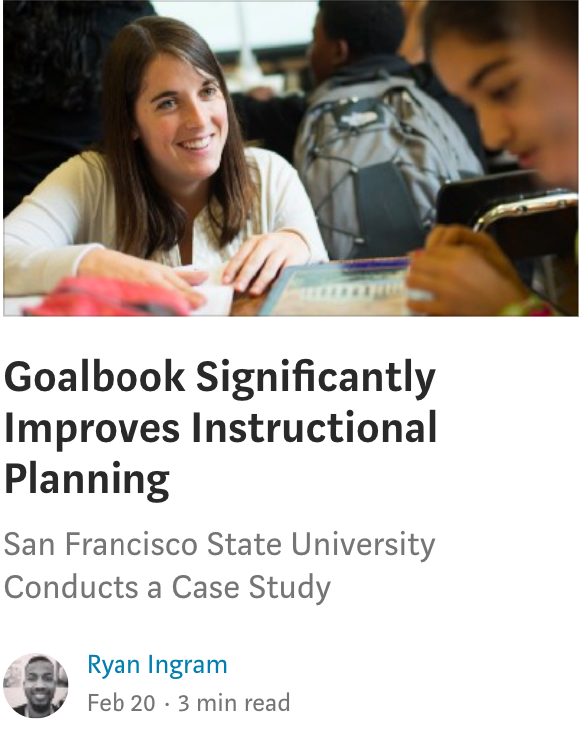 What additional support materials and guides can be provided to teachers and specialists to help them facilitate the use of Goalbook in the classroom? In a short period of time, Goalbook was able to help related service providers and teachers collaborate more effectively, translating into positive outcomes for students. Below are excerpts of the data and results from the study. Read the WestEd Feasibility Study to learn more about the impact Goalbook Toolkit had on facilitating authentic instructional and collaborative settings for related services.